International Innovation MSc together at Lancaster University, they set out to harness urban wind with an inventive new type of turbine. But what’s the problem with wind? 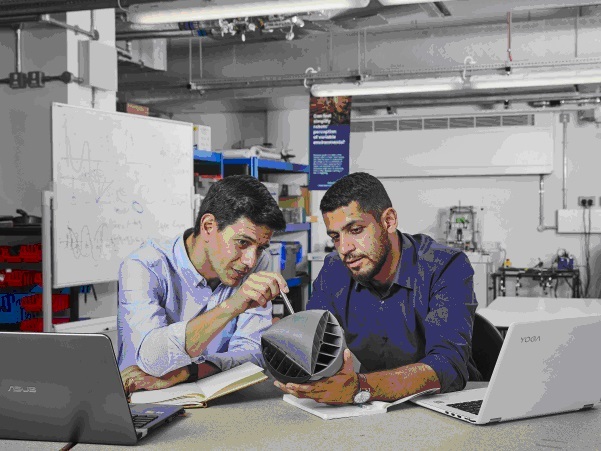 Nicolas Orellana first became interested in the challenge of multidirectional wind after studying NASA’s Mars Tumbleweed Rover. Six feet in diameter, this inflatable ball was designed to autonomously bounce and roll like tumbleweed, across Mars’ surface to measure atmospheric conditions and geographical location. Like conventional wind turbines, it was powered by unidirectional wind blows which severely impaired the rover’s mobility when faced with obstructions, often throwing it off course and resulting, ultimately, in the failure of the project. O-Wind Turbine is a 25cm sphere with geometric vents; it sits on a fixed axis and spins when wind hits it from any direction. When wind energy turns the device, gears drive a generator which converts the power of the wind into electricity. This can either be used as a direct source of power, or it can be fed into the electricity grid. 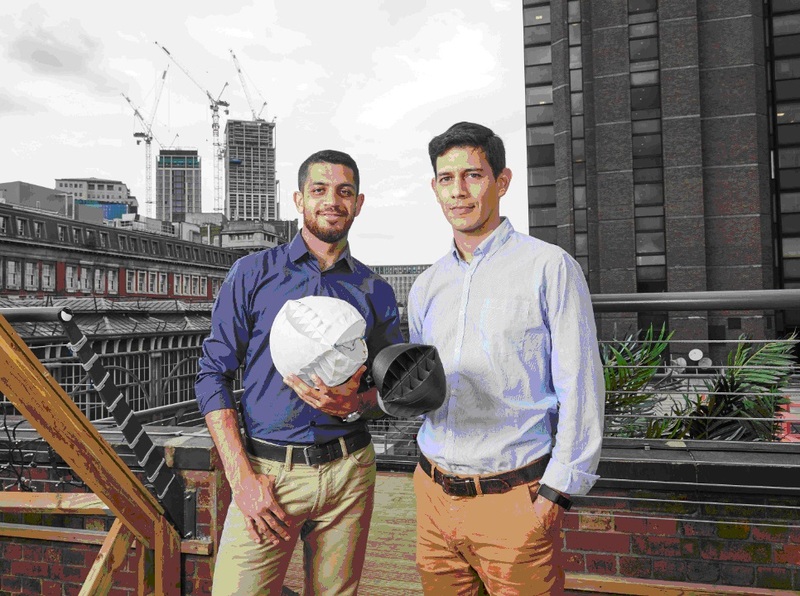 Nicolas and Yaseen aim for O-Wind Turbine to be installed to large structures such as the side of a building, or balcony, where wind speeds are at their highest. Click here to see the device in action.